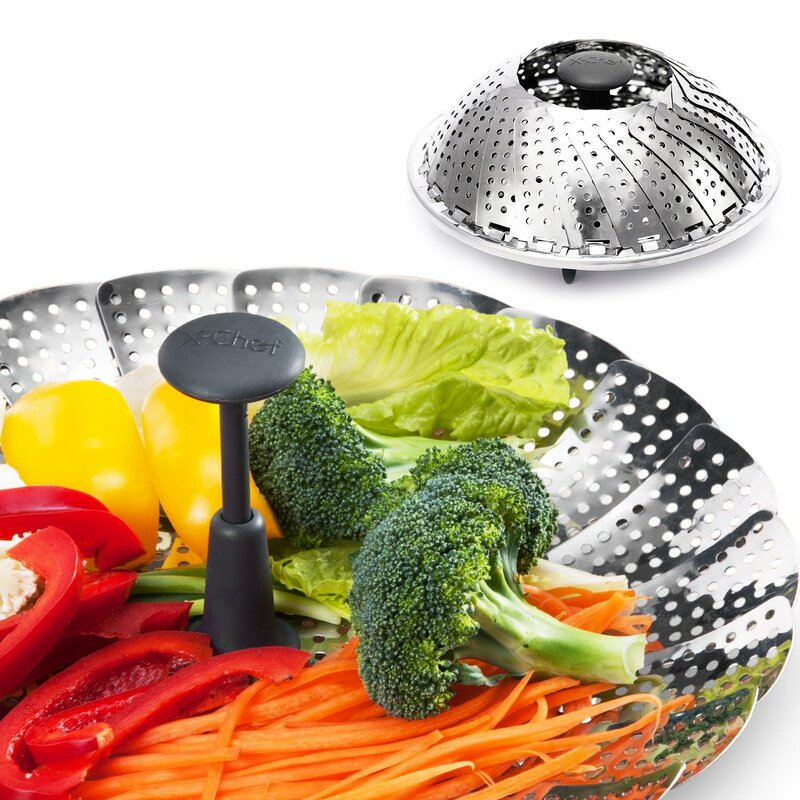 #foodsteamer Since I've gotten a little older I try to take better care of myself, eat healthier.Steamed veggies hold more of the vitamins and nutrients your body needs, so when I was offered the opportunity to try out this Vegetable Steamer I was more than happy to try it out. This vegetable steamer is very well made and thought out. It's made of stainless steel and is dishwasher safe. It expands from 6 inches to 11 inches to adjust to different sized pans. It has legs on the bottom that are stable and turn almost and pan into a steamer.It also has an extendable handle in the center that makes it easy to remove from a pan. When the steamer is not in use it folds up to save space. Takes up less space than bamboo steamers. This steamer comes fully assembled and ready to use. I'm really happy with knowing that it's so easy to feed my family so easily.